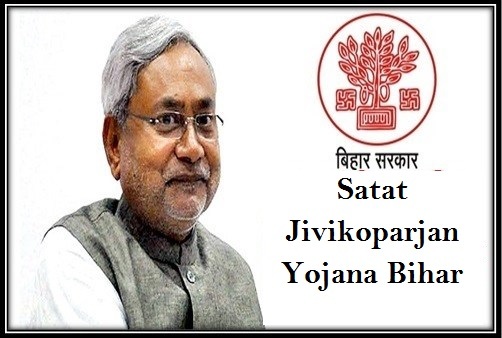 The state government of Bihar is on a crusade to rid the society of all evils. So, it had put a ban on the manufacture and sale of liquor. But this will cause many to lose their livelihood. State authority has launched a new scheme, Satat Jivikoparjan Yojana, under which, all former liquor sellers will receive financial assistance to start another business, like animal husbandry. What is the Satat Jivikoparjan Yojana ? Offering livelihood to liquor sellers – With the ban of selling of liquor, former manufacturers and sellers will be left without a livelihood. This scheme will offer them financial assistance to start another business and earn a decent living. Monthly financial assistance – Once the person starts his/her business, he/she will receive an additional grant of Rs. 1000 for first seven months. This will offer extra support to the venture during its initial days. One-time financial assistance – The state government will offer each applicant with a one-time grant that ranges from Rs. 60,000 to Rs. 1 lakh. Special insurance for women – As many women are also associated with liquor business, Bihar state government will offer special insurance policy to these females. Who can apply for the scheme And What kind of documents are important for the scheme? Residential criterion – As the scheme will be implemented by Bihar government, there are no extra points for guessing that only legal residents of Bihar will be allowed to get the benefits of this project. Only former liquor sellers – This scheme is only for those applicants who were associated with liquor manufacture and selling business. Identification details – All applicants must have proper identification details. For this, they need to submit a copy of their Aadhar card. Bank account is a must – The funds will be offered by the state government in the bank account of the person. So, all applicants who desire to start their own business must have an active bank account. A photocopy of the first page of the passbook is a must. ST and SC applicants – As the scheme will also allow ST and SC candidates to apply, they will have to submit their caste certificates. As the scheme has been recently launched, not much is known about the registration procedure. The state authority will soon come out with the details description of the enrollment form and the application methodology. How many beneficiaries will get the benefits? As of now, the scheme has a target of reaching out to 1 lakh families. The state authority will start work on the implementation of this project in 16 districts. By the end of 2018, this project will be implemented in rest of the districts as well. Shutting down illegal and immoral practices is not enough. If these people don’t get adequate opportunities to earn their livelihood, they will turn to crime or go back to the same profession. This step, taken by the state government will assist former liquor traders to shun this immoral trade and start a good trade.